Our brand new CCR corner! 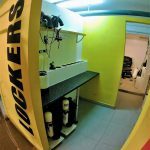 We used the quiet months to build a decent CCR corner in our dive center! 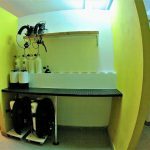 Now you have a comfortable place to fill your scrubber or store your unit and accessories! TDI SDI Tauchlehrer Ausbildung und Crossover auch in 2019! Baron Gautsch Trip on a sunny day in May! Samo nam recite, sto možemo učiniti za vas?